It’s a Super Saturday and we have a couple of matches today in the pipeline. The first match is between Chennai Super Kings and Kings XI Punjab and the second game is between Sunrisers Hyderabad and Mumbai Indians. First, let’s talk in detail about CSK and KXIP which will be held at the MA Chidambaram Stadium in Chennai. Kings XI Punjab had won their last game against the Delhi Capitals by 14 runs. Whereas Chennai Super Kings lost their last match against the Mumbai Indians. Now, let’s have a look at the weather and the pitch report for the match today. Chennai Super Kings vs Kings XI Punjab Live Cricket Score. The weather is going to be extremely warm and is going to be mostly sunny. The temperature will hover around 36 degree Celsius. The temperatures will drop down by a couple of degrees as the match progresses. Winds at the pace of 15-18 kmph throughout the match. There is no rain prediction but the humidity will increase gradually as the day progresses. 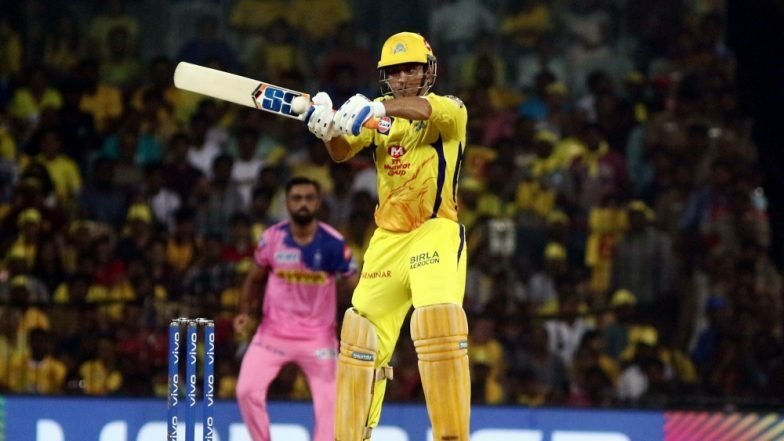 CSK vs KXIP, IPL 2019 Match 18, Key Players: MS Dhoni to Imran Tahir to Sam Curran, These Cricketers Are to Watch Out for at M Chidambaram Stadium. The pitch of the MA Chidambaram Stadium is likely to support the spinners and will provide enough spin to the bowlers. The pitch is expected to be on the slower side. The match will begin at 4.00 PM today and CSK ahead of the game has suffered a big blow as Dwayne Bravo has been ruled out due to an injury. The match will turn out to be a fierce battle between both sides.